There’s some argument to be made that the Tesla Model S is less car and more ground-bound space ship. 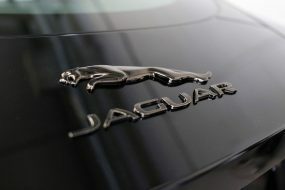 Futuristic, innovative and inspired engineering throughout, this vehicle is undoubtedly a class-leader. A five-seater, all electric, luxury saloon, the Tesla Model S may not employ noisy exhaust noises or aggressive sporty looks to turn heads, but this prowler rather subtly appears, understated, alongside. Usually, the parameters for safety and thrilling are mutually exclusive, yet the Tesla Model S manages to accomplish both. It boasts a staggering, stomach-dropping acceleration capability of 0-60mph in around 2.8 seconds and yet has consistently rated most highly on crash testing. It’s been designed to be as aerodynamically efficient as possible, with even the door handles retracting, emerging only when the driver approaches with the key fob! Combine this with the green credentials of zero emissions and a boasted 90+ MPGe (miles per gallon equivalent) and it’s easy to see why Car and Driver magazine named the Model S the Car of the Century in 2015, even if actual MPGe typically returns at 10-20% less. Then of course, there’s the auto-pilot hardware, which every Tesla is equipped with, whether the software is opted for or not. VIDEO: Take a ride in a Tesla with Autopilot Full Self-Driving Hardware. 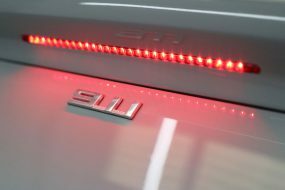 The Tesla Model S received a make-over in April of 2016 with the front grille being replaced with a sleek, small opening filled with the T emblem. 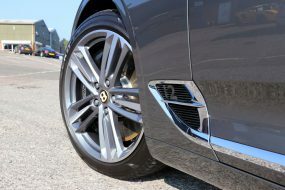 It was this version, a 90D variant belonging to a returning customer that arrived at UF’s Brands Hatch Detailing Studio for a New Car Protection Treatment. In this instance, the owner had specified his New Car Protection with a ‘Platinum’ sealant upgrade, using ENREI Coat. ENREI is a state-of-the-art two-stage sealant from Kamikaze Collection, a Japanese manufacturer of boutique, high-quality protection coatings. Using a combination of German and Japanese technologies, ENREI consists of a primer coat, laid down to provide a uniform base to allow the top coat to bond effectively. The uniformity provided by the base layer also ensures the top coat can produce maximum gloss levels and hydrophobicity. In addition to the paintwork protection, the owner of this Tesla also requested the alloy wheels be coated with an alloy-specific nano-ceramic sealant. The leather was to receive an abrasion resistant coating and, as a daily driver likely to be subjected to all the British weather delivers, the windows too were to be coated with a hydrophobic sealant. 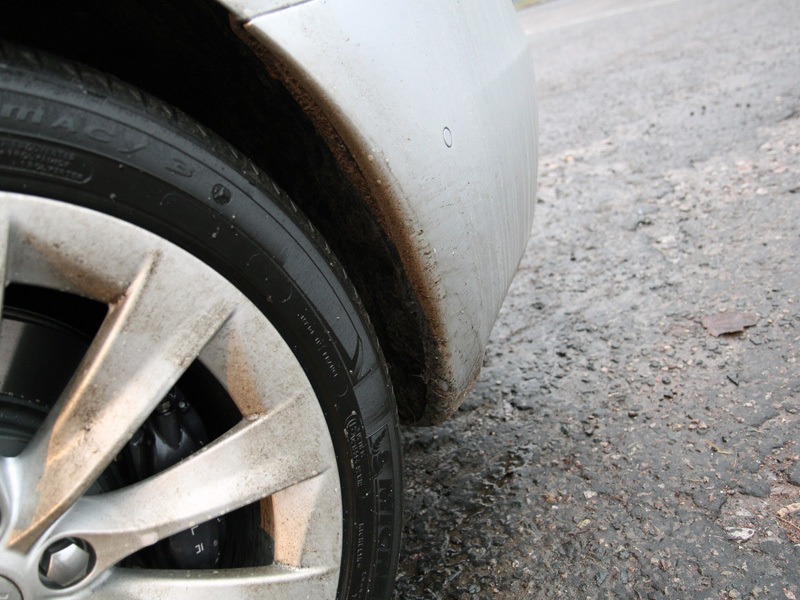 On arrival, the Tesla Model S was dirty, with debris collected whilst driving, particularly under the wheel arches which were caked in mud. The paintwork was covered in rainwater evaporates, white spots marring the appearance, especially under the wing mirrors, in aerodynamic lines from the indicator covers and across the windscreen. The glass too was heavily contaminated with water spot marks. The nearside wheel arch, offside rear door and rear bumper also showed signs of a chalky residue, gritty to the touch yet bonded to the paintwork. So as always, the treatment began with thorough decontamination, starting with Kamikaze Collection Water Spot Remover being applied. This product gently dissolves the compounds which cause the water spot marks, allowing them to be easily rinsed away. Next, the bodywork and wheels were treated with Bilt-Hamber Surfex HD to remove greasy deposits such as diesel and petrol splatters. Ultimate Snow Foam was applied using a Kranzle-Adapted foam lance attached to a Kranzle K-1152 pressure washer to create a thick, creamy foam which clings even to vertical surfaces. 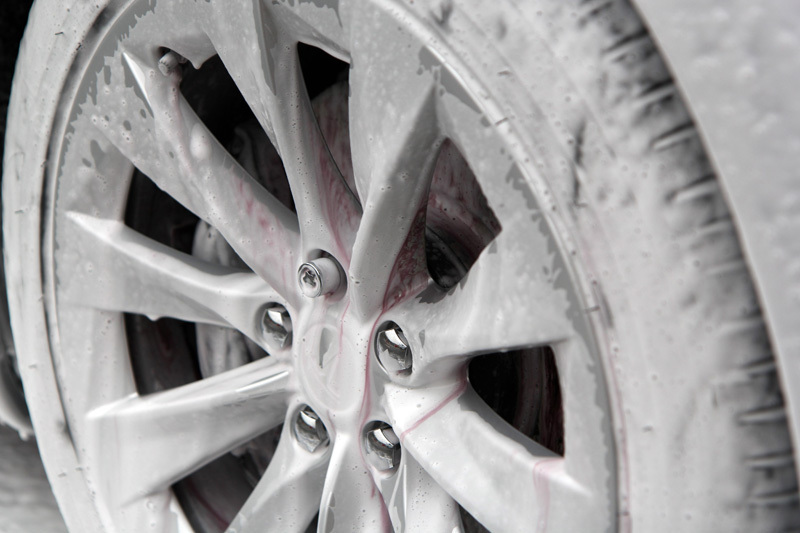 The foam lifts away larger particles of dirt and grit from the paintwork and wheels, encapsulating it within the foam. Nanolex Wheel Cleaner & Iron Remover was used to release any brake dust particles which may have bonded with the paintwork or wheels. Wheel Cleaner & Iron Remover produces a colour-change reaction when it comes into contact with ferrous particles, becoming a deep purple. When the colour change is complete, the product and contamination can be safely rinsed away without the need for scrubbing. This helps protect the paint and wheel lacquer from accidental damage. The boot shut had collected a significant amount of debris such as leaf remnants. All the shuts were cleaned with a solution of Surfex-HD applied using a Kwazar Orion Super Pro+ Pump-Up Foamer. 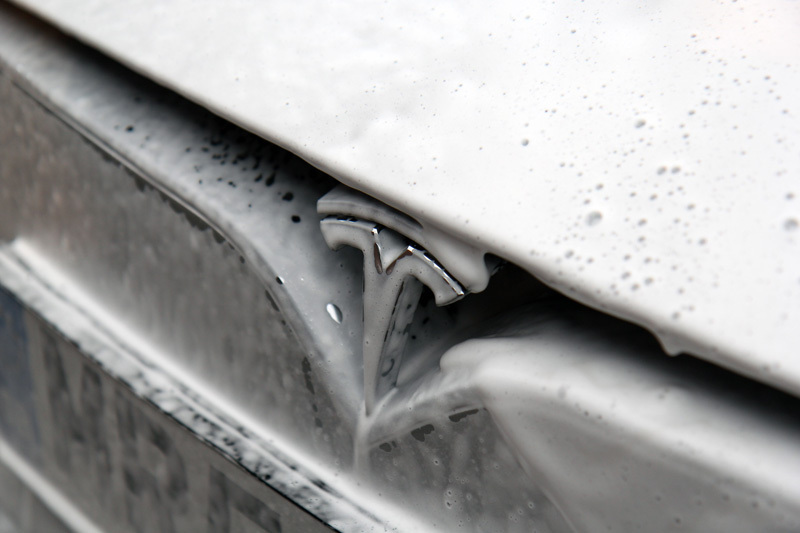 Decontamination processes complete, the Tesla was washed using the Two Bucket Method, an Ulti-Mitt Double Sided Merino Wool Wash Mitt and Nanolex Pure Shampoo. Pure Shampoo contains only cleaning agents, without gloss enhancers, wax or additives which may interfere with the bonding of the sealant. Once clean, the Tesla was rinsed again before an Aqua Gleam De-ionising Water Filter was attached in-line with the hose. These filters neutralise the impurities in tap water which give rise to unsightly water-spot marks. 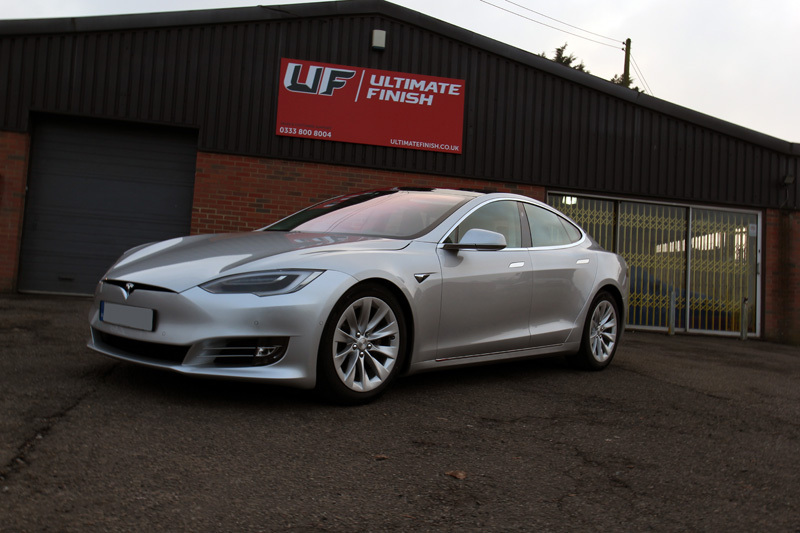 After drying with soft microfibre drying towels, the Tesla was brought into the detailing studio where the paintwork was inspected for damage under high-intensity lights. 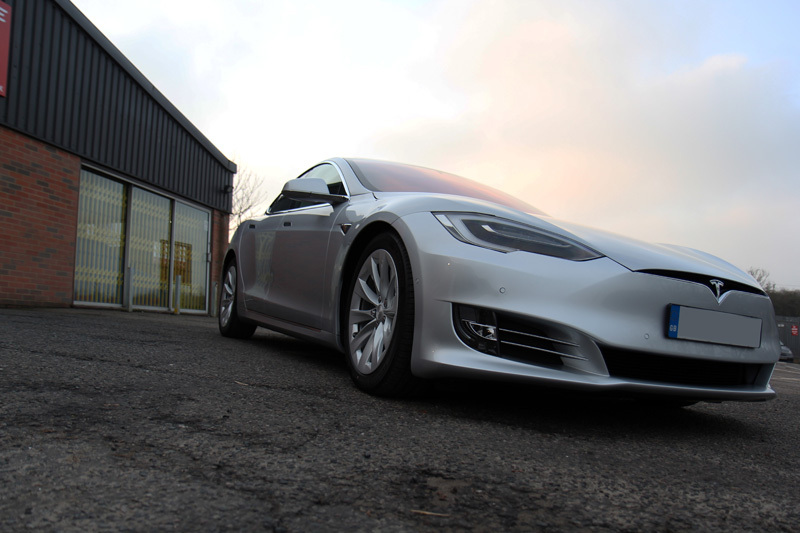 A few light swirls were evident, so the Tesla was polished by hand using Menzerna Super Finish 3500. 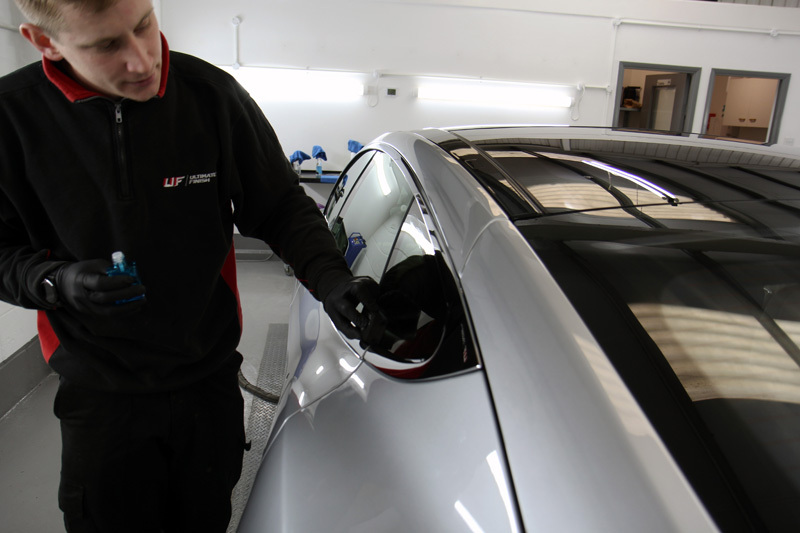 This fine finishing polish contains diminishing abrasives which gently remove minor blemishes from paintwork and leave a high gloss finish ready for sealing. 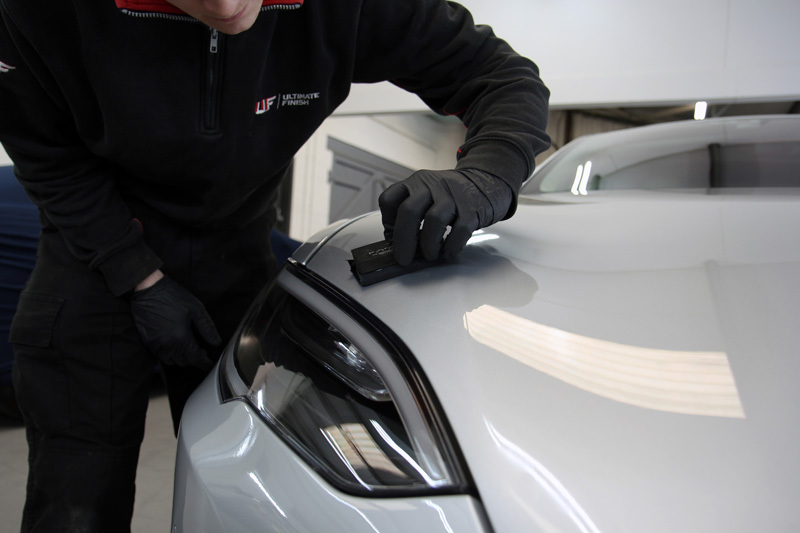 Blemish-free, the Tesla Model S paintwork was ready for its ENREI coating. ENREI base coat was applied. This acts as a primer, ensuring a uniform surface and increasing the surface area for the top layer to bond with. After four minutes, this layer was buffed off. After leaving the base layer for an hour to allow hardening to take effect, the top coat was applied and allowed to cure for around seven minutes before being finally buffed to a high-gloss finish. 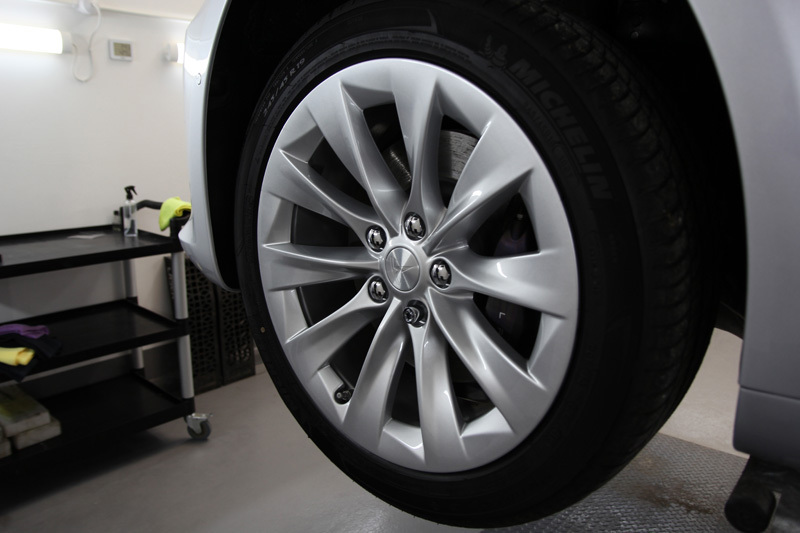 To protect the alloy wheels, Kamikaze Collection STANCE Rim Coat was applied. Formulated specifically to protect alloy wheels and calipers from the unique challenges they face, particularly extreme heat, road salts and brake dust build-up. 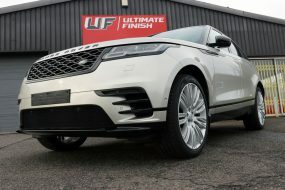 Treated wheels remain looking cleaner for longer and contamination will not stick to the surface, so wheels are much easier to clean during the weekly wash.
Kamikaze Collection Intenso Window Coat was used on all the windows and the panoramic roof. 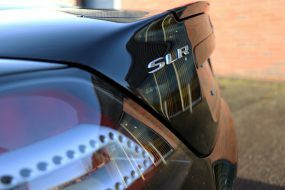 This hydrophobic coating encourages rainwater to bead on contact and blow away, making driving easier and less tiring during inclement weather conditions. The leather interior was treated with Colourlock Mild Leather Cleaner to ensure any soiling was removed, before being sealed using Colourlock Leather Shield. 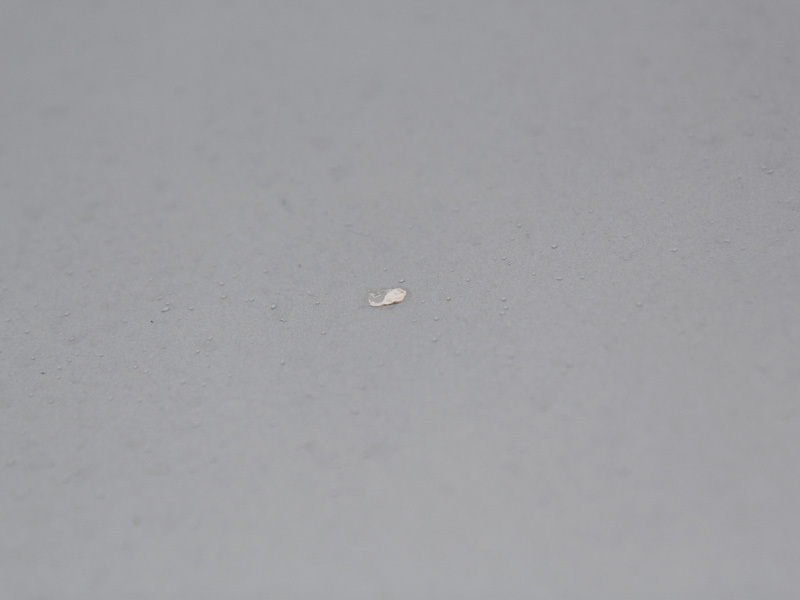 This abrasion resistant coating does not leave a slippery, greasy residue. Instead, the formulation helps protect leather surfaces from staining by repelling water, dirt and oils allowing the interior remain looking ‘as new’ for longer. 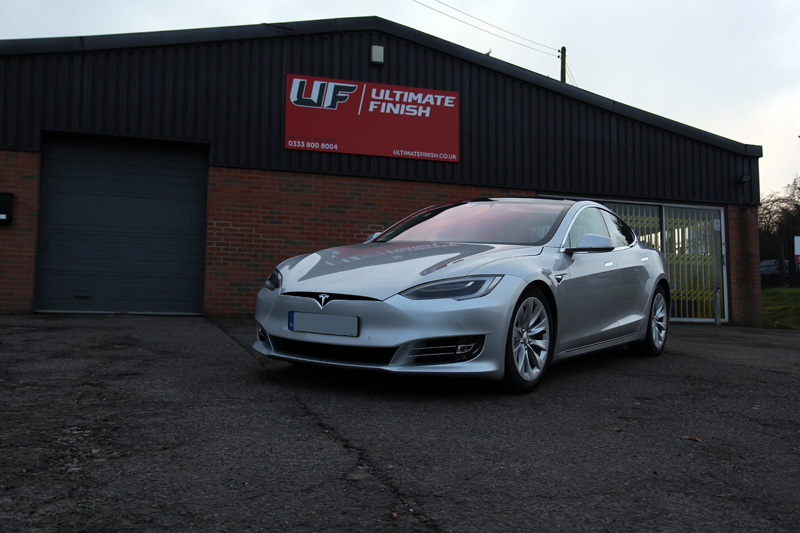 Looking stunning, the Tesla Model S was now protected and, with ENREI Coating, will remain so for the foreseeable future! Read about ENREI Coat and the first Kamikaze Collection training day, hosted at UF Detailing Studio.